The Supreme Court today observed that the National Register of Citizens(NRC) prepared for State of Assam was only a draft, and hence the same cannot be basis of any action by any authority. "In this regard the Court would like to observe that what has been published is only the Complete Draft NRC which naturally being a draft cannot be the basis of any action by any authority. 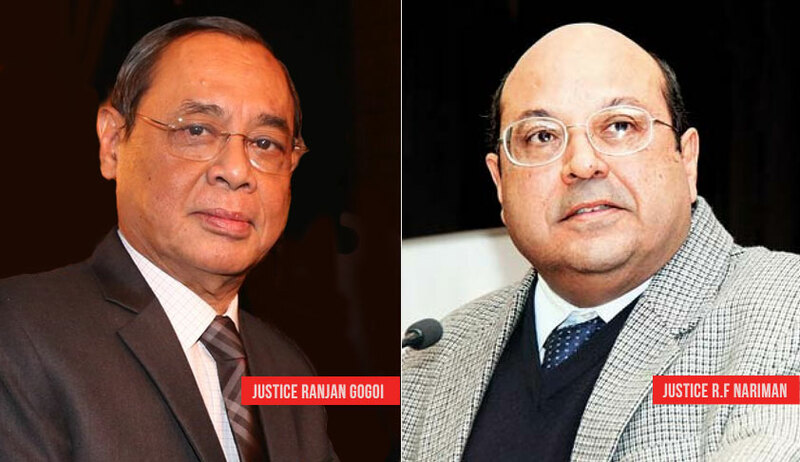 ", observed the bench of Justice Ranjan Gogoi and Justice R F Nariman. The Court passed the order in the wake of concerns being raised about exclusion of approximately forty lakh persons from the final draft list of NRC published on Monday. The Court heard Prateek Haleja, the State Co-ordinator for NRC, who submitted that total number of persons included in the said Complete Draft NRC is 2,89,83,677 leaving a total of 40,70,707 as ineligible for inclusion. Out of the aforesaid 40,70,707 names, 37,59,630 names have been rejected and 2,48,077 names were kept on hold. It was further submitted that the final draft was available for inspection up to August 7, and and that excluded persons can make claims and objections from August 30 to September 28. Attorney General K K Venugopal submitted that the concerned Ministry was in the process of finalizing the modalities for dealing with the claims and objections, and undertook to place the same before the Court. On that basis, the Court held that a report regarding the standard operating procedure formulated to deal with claims and objections be placed before it. "We permit the concerned Ministry of the Government of India to go ahead with the exercise undertaken/to be undertaken and report back to the Court with the details of the modalities as may be formulated to appropriately deal with the claims and/or objections that may be filed so as to enable publication of the final NRC. In the preparation of the modalities/standard operating procedure the State Coordinator, Shri Hajela, will be associated at every step of the process". The Court also said that further orders regarding time schedule and different steps to be taken will be issued on August 16, the next hearing date.